The lymphatic system is generally regarded as supplementary to the blood vascular system, in that it transports interstitial fluid, macromolecules, and immune cells back into the blood. However, in insects, the open hemolymphatic (or lymphohematic) system ensures the circulation of immune cells and interstitial fluid through the body. The Drosophila homolog of the mammalian vascular endothelial growth factor receptor (VEGFR) gene family is expressed in hemocytes, suggesting a close relationship to the endothelium that develops later in phylogeny. Lymph hearts are typical organs for the propulsion of lymph in lower vertebrates and are still transiently present in birds. 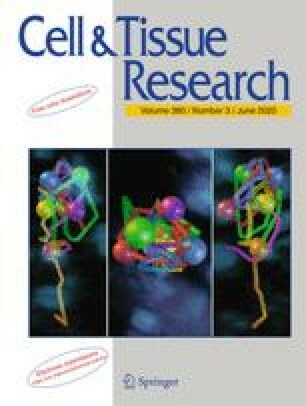 The lymphatic endothelial marker VEGFR-3 is transiently expressed in embryonic blood vessels and is crucial for their development. We therefore regard the question of whether the blood vascular system or the lymphatic system is primary or secondary as open. Future molecular comparisons should be performed without any bias based on the current prevalence of the blood vascular system over the lymphatic system. Here, we give an overview of the structure, function, and development of the lymphatics, with special emphasis on the recently discovered lymphangiogenic growth factors.